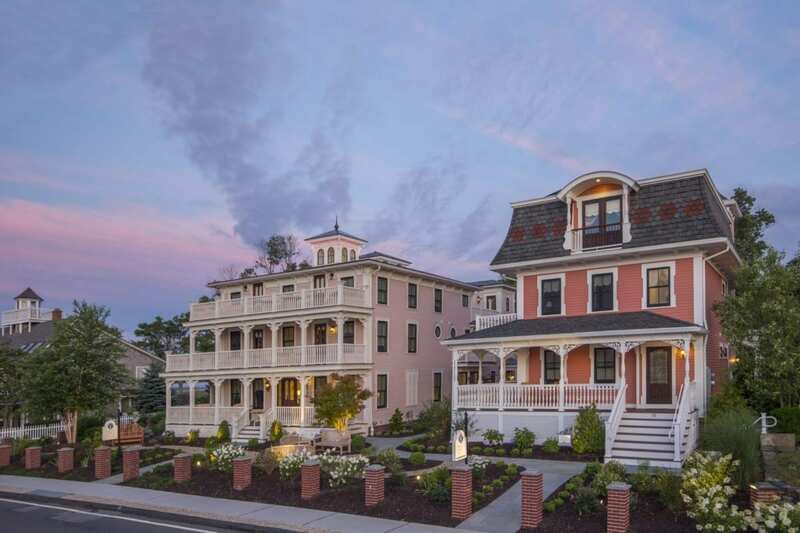 Located just steps away from the Main Inn and next door to Three Stories, the newest member of Saybrook Point, Tall Tales, offers a new way to vacation on the Connecticut coast. 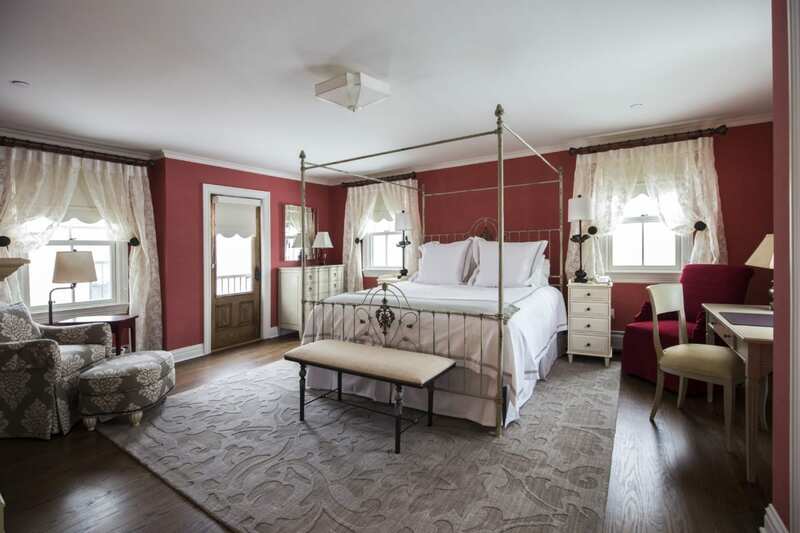 This six bedroom, Italianate home provides the perfect setting for your Connecticut escape, combining the amenities of a hotel with the comfort of a home. On the first floor, you’ll find a small kitchen and an open-floor plan dining room and living space. Perfect for preparing home-cooked meals, or just spending some quality time as a group, this space is ideal for your next girlfriend getaway or corporate retreat. On the second floor, play the day away in the game room, complete with billiards and a custom chess table. If that’s not enough fun and games, step into Tall Tales’s backyard for a round of bocce. Of course, as with any space on Saybrook Point, you’ll retire to luxurious accommodations. 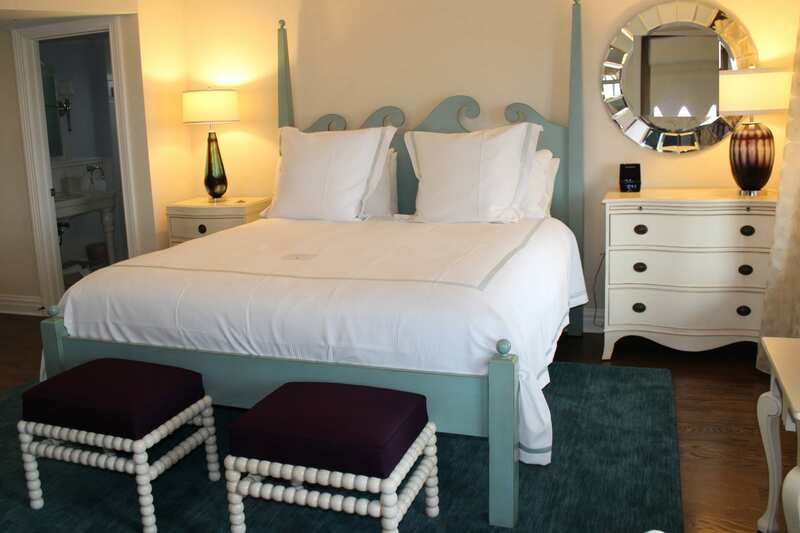 Each of the six bedrooms in Tall Tales is individually designed with one-of-a-kind pieces of furniture and a playful color scheme. 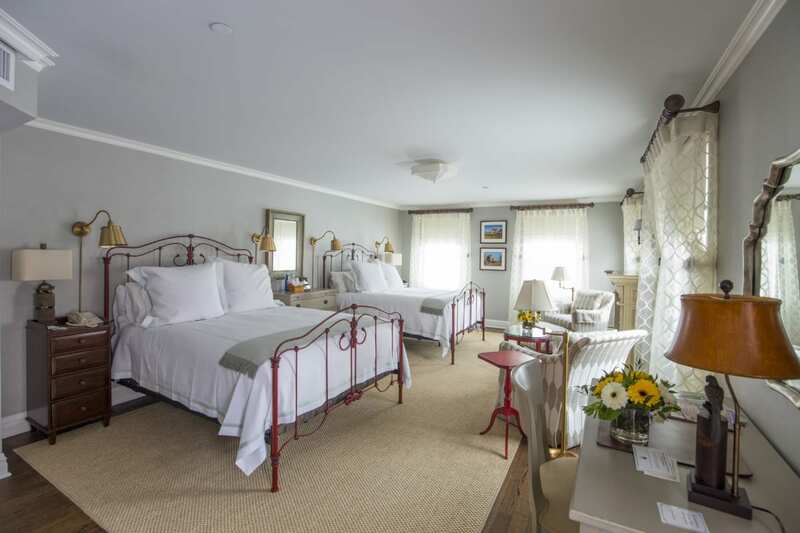 Transport back in time with rooms named after historic figures of Saybrook’s past. 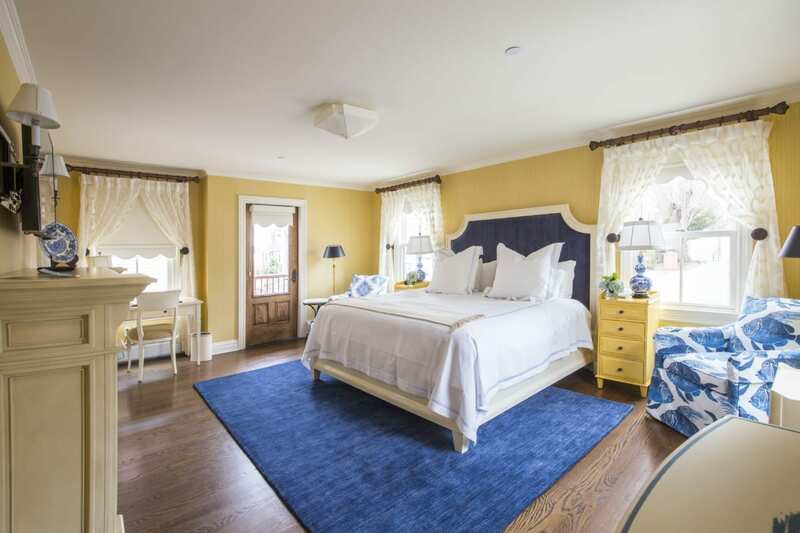 Plus, many of the rooms in Tall Tales feature spacious decks; enjoy your morning coffee with a view of the Connecticut River or Long Island Sound. Experience a new way to vacation in Tall Tales. 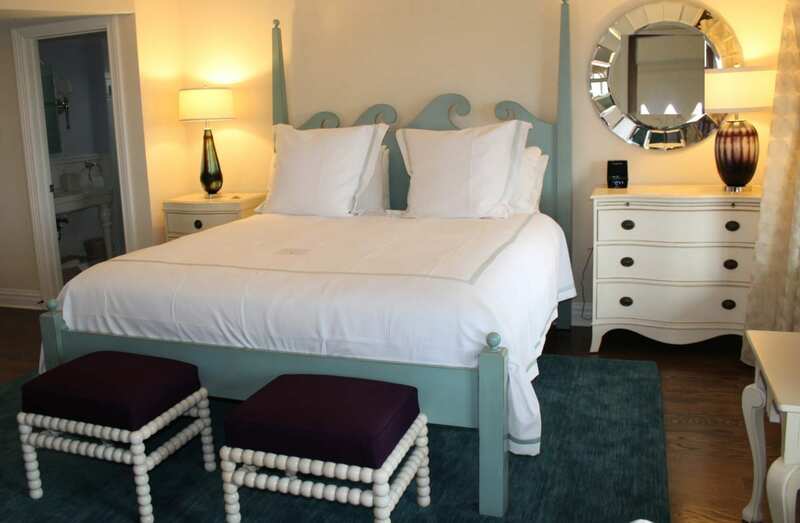 Located on the first floor of Tall Tales guest house, this luxurious room features access to the house’s front balcony, a king bed, and a private bath. Located on the first floor, this beautiful room offers easy access to Tall Tales’s main living space and is handicap accessible. With two queen sized beds and a spacious deck, this second story room is perfect for small families or a group of friends. Enter this second floor suite and discover a private sitting room off the main bedroom. 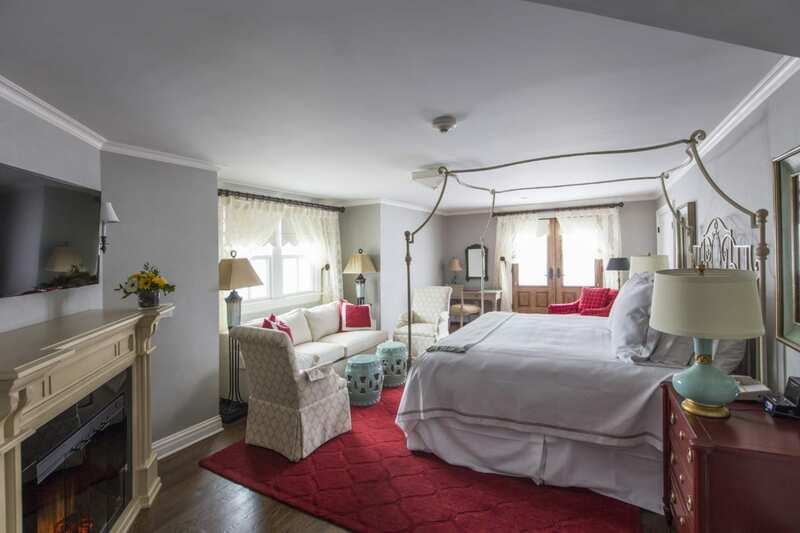 Plus, we love the four poster bed in the main room. 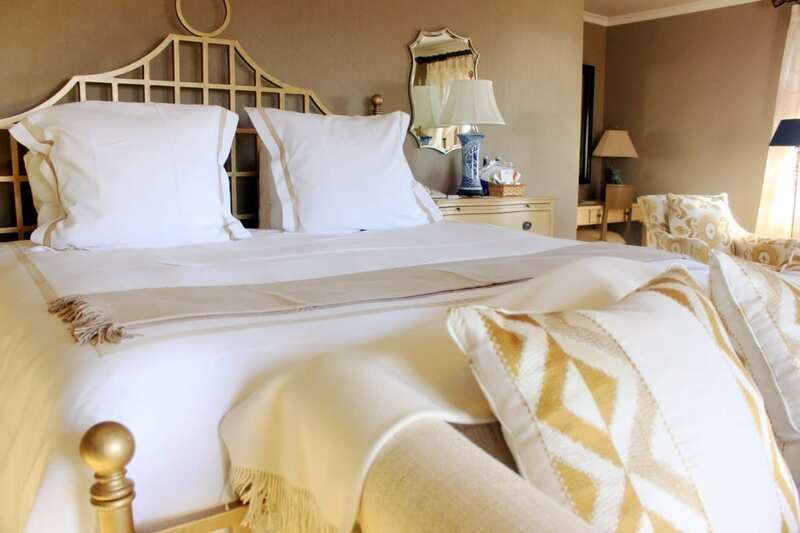 Find luxury with this junior suite setup and king-sized bed. Because its on the third floor, this suite has some of the best waterfront views in all of Tall Tales. Located on the third floor, this junior suite setup includes a king-sized bed and a sizable bathroom, complete with a shower and bubble tub.